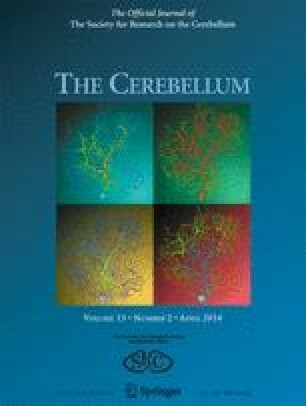 Intensive scientific research devoted in the recent years to understand the molecular mechanisms or neurodegeneration in spinocerebellar ataxias (SCAs) are identifying new pathways and targets providing new insights and a better understanding of the molecular pathogenesis in these diseases. In this consensus manuscript, the authors discuss their current views on the identified molecular processes causing or modulating the neurodegenerative phenotype in spinocerebellar ataxias with the common opinion of translating the new knowledge acquired into candidate targets for therapy. The following topics are discussed: transcription dysregulation, protein aggregation, autophagy, ion channels, the role of mitochondria, RNA toxicity, modulators of neurodegeneration and current therapeutic approaches. Overall point of consensus includes the common vision of neurodegeneration in SCAs as a multifactorial, progressive and reversible process, at least in early stages. Specific points of consensus include the role of the dysregulation of protein folding, transcription, bioenergetics, calcium handling and eventual cell death with apoptotic features of neurons during SCA disease progression. Unresolved questions include how the dysregulation of these pathways triggers the onset of symptoms and mediates disease progression since this understanding may allow effective treatments of SCAs within the window of reversibility to prevent early neuronal damage. Common opinions also include the need for clinical detection of early neuronal dysfunction, for more basic research to decipher the early neurodegenerative process in SCAs in order to give rise to new concepts for treatment strategies and for the translation of the results to preclinical studies and, thereafter, in clinical practice. The authors acknowledge the following agencies for funding: the Spanish Ministry of Science and Innovation (BFU2008-00527/BMC to AM-D and IS); the Carlos III Health Institute (CP08/00027 to AM-D); the Iberoamerican Programme for Science, Technology and Development (CYTED; RIBERMOV, 210RT0390 to AM-D and IS); the European Commission (EUROSCA project, LHSM-CT-2004-503304 to AB, AM-D, DCR, GS and OR; the NEUROMICS project 7th PCRD-305121 to AB, AM-D, DCR, GS, IS, OR); the Fundació de la Marató de TV3 (Televisió de Catalunya, 100730 to AM-D and IS); the French Association “Connaitre les Syndrômes Cérébelleux”, the Verum Foundation (to GS); and the program “Investissements d’Avenir” (to AB and GS). TA is supported by the US National Institutes of Health (grant R01NS083564). DCR is funded by a Wellcome Trust Principal Fellowship, a Wellcome Trust/MRC Strategic Grant on Alzheimer’s disease and the Biomedical Research Unit in Dementia at Addenbrooke’s Hospital. Funding was obtained from the National Institutes of Health, R01NS033123 to S.M.P. and RC4NS073009 to SMP and DRS. FT was funded by Telethon-Italia (GGP09301), the Italian Ministry of Health (RF-2009-1539841) and ERA-Net E-Rare-2 JTC2011 (Euro-SCAR). Antoni Matilla-Dueñas is a Miguel Servet Investigator in Neurosciences of the Spanish National Health System. We apologize to those research groups whose contributions could not be referred in this review due to space constraints.